COUNTING DOWN …..JUST SEVEN …YES 7 DAYS ‘TIL SHOW TIME! 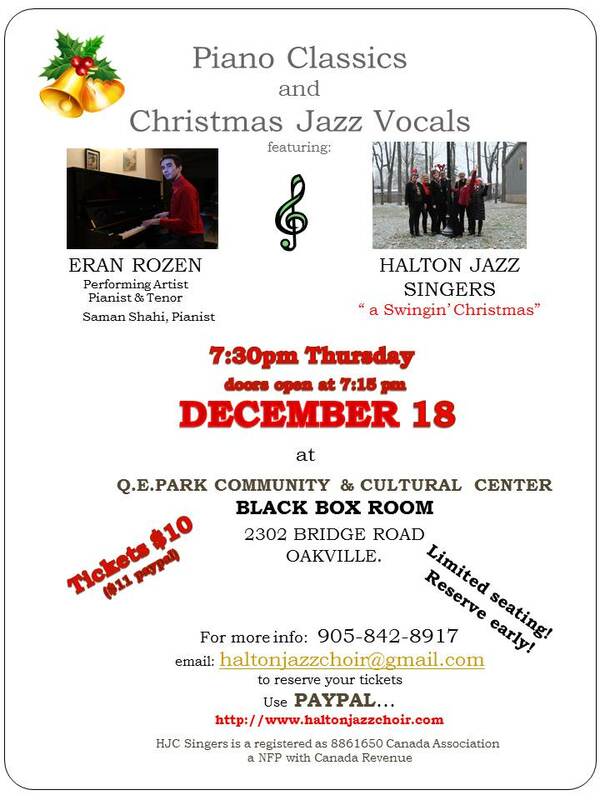 Halton JAZZ Singers are revved up to give you a swinging good show! Thursday, December 18th @ 7:30 p.m. in the Black Box Theater in Q.E.Park Community & Cultural Center, 2302 Bridge Road, Oakville. Don’t have your ticket yet? Tickets are $10. Seating is limited! Call today 226-909-2152 to reserve your seats! Would you like to bring a group of students or seniors? There are ‘group’ rates for sure for as few as 3 or more people! Want to volunteer or do you want more information? 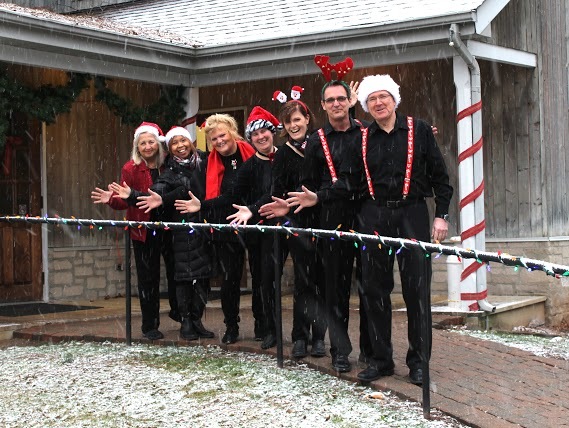 Please check out our facebook HALTON JAZZ CHOIR page & our website page http://www.haltonjazzchoir.com or send us an email: haltonjazzchoir@gmail.com. Hope to see you there! It WILL be a festive, swingin’ good time, guaranteed! This entry was posted in Christmas vocal jazz, music and tagged Christmas, entertainment, jazz, singing, vocal jazz. Bookmark the permalink.